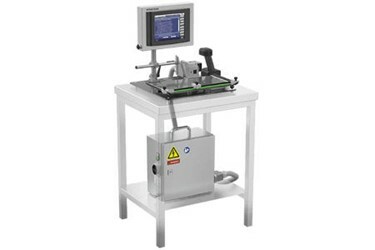 The T2611 provides complete serialization capabilities in a desktop system, making it ideal for packagers and manufacturers of small product batches. A compact injket printer applies critical codes to the product package, which operators can instantly verify using the T2611's handheld scanner. The T2611 is a standalone system, meaning it can be placed next to the production line without the need for more complex integration.